You love your pets, but their shedding? Not so much. Pet hair isn’t just annoying–it can build up in your HVAC system, clog your filters, and force your HVAC unit to work harder. This can increase your monthly energy bills and put a strain on your unit. By cleaning up your pet’s hair regularly, you’ll maintain the lifespan of your HVAC system. Follow these household cleaning tips to easily clean up and prevent pet hair from your clothing, furniture, and home. 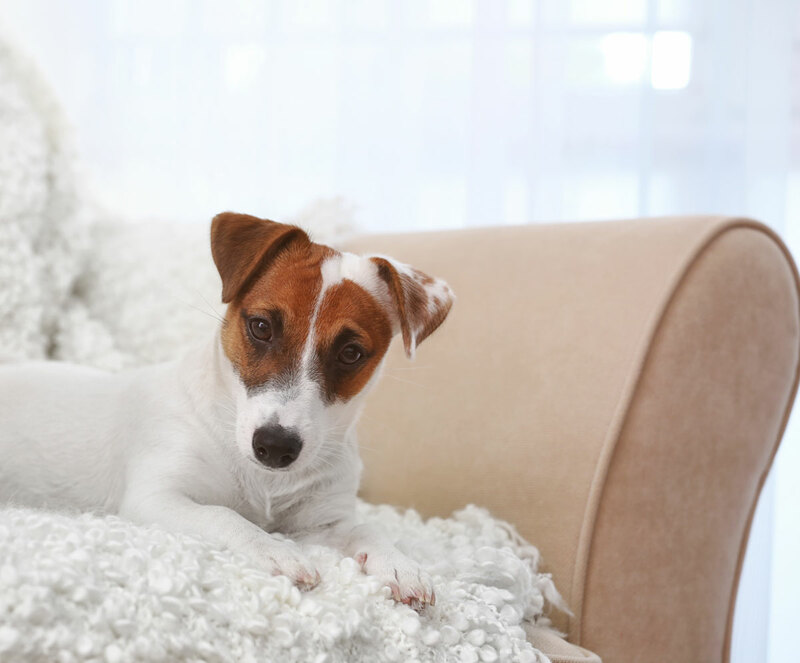 Keep your furniture fuzz free by covering your pet’s favorite spots with a blanket which can be easily removed and washed on a regular basis. Don’t have a lint roller handy? Try using a rolled up piece of duct tape instead. It works great on most fabrics and is a great way to clean off your clothing before you go to work! Dryer sheets are great for picking up pet hair. The fibers trap the hair and can be used on furniture, clothing, floors, baseboards, and even in those hard-to-clean corners. If your carpet is embedded with pet hair, try using a spray bottle to lightly dampen your carpet with water. Then, use a rubber broom to roll all the fur into a clump. Don’t get your carpet too wet and allow it to dry completely before you vacuum. Another carpet-cleaning trick is to use a window squeegee to pull up embedded pet hair. If sweeping the fur from your hardwood floors is getting you nowhere, try using a damp mop instead. Always follow up on hardwood with a wood cleaner and avoid leaving water on the wood. Use rubber gloves to remove fur from upholstered furniture or curtains. The rubber will act like a magnet and can be rinsed off in the sink, or outside using a garden hose. Regularly brush and bathe your pets, especially if they’re prone to shedding. Brushing even once per week can greatly reduce the amount of fur they shed in your house! 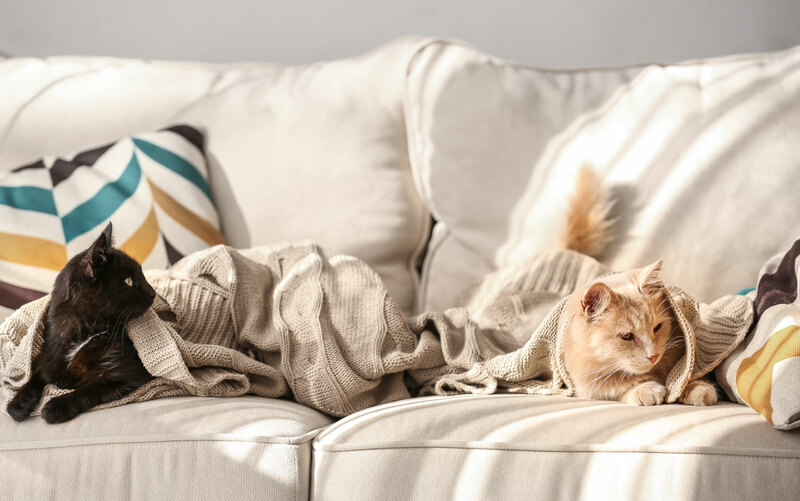 Keeping your vents clear of pet hair and dust will keep your HVAC unit running smoothly, reducing your energy bills and increasing the lifespan of your unit. For HVAC maintenance and repair in the Triad, contact Cook’s Heating and Cooling today.